I'm about to make my next big guitar purchase and I was wondering if you guys could offer some honest advice in what I should be looking out for. I've got a relatively flexible price range of around �2k and so far have been checking the usual suspects on the used market. So far the ones I've enjoyed playing the most are 335 style or Telecaster style. This weekend I'm going to be in London and have a few hours to kill before I catch my flight back to Glasgow, so thought I may as well have a nosey around some of the vintage guitars on offer. Is there anything in particular I should be wary of? Also any particular shops I should check out? 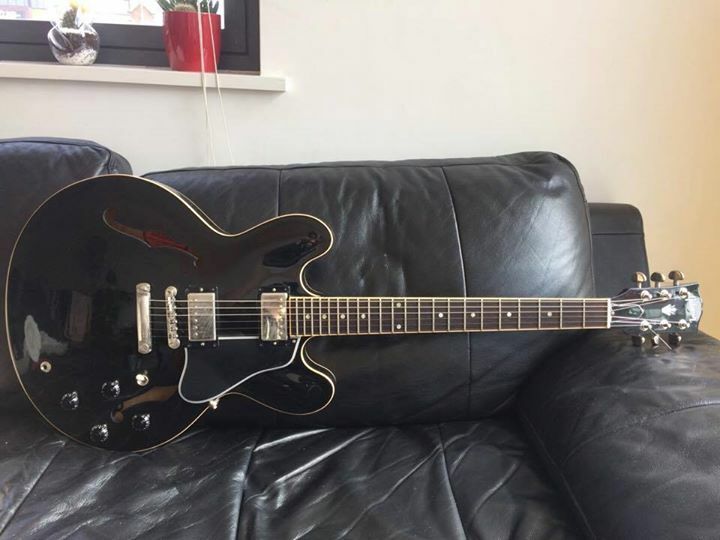 Can you get a vintage tele or 335 for �2k? It's a minefield, particularly with Fenders because everything can be swapped out easily. Regent Sounds have some vintage stock now at decent prices, so check them out if you're in town. I'd have thought that that sort of money would probably get you one of the Gibson reissues that are supposedly very accurate, historic reproductions. A mate has one and it is a great guitar. Doubt you'd get anything good, vintage and Gibson though. 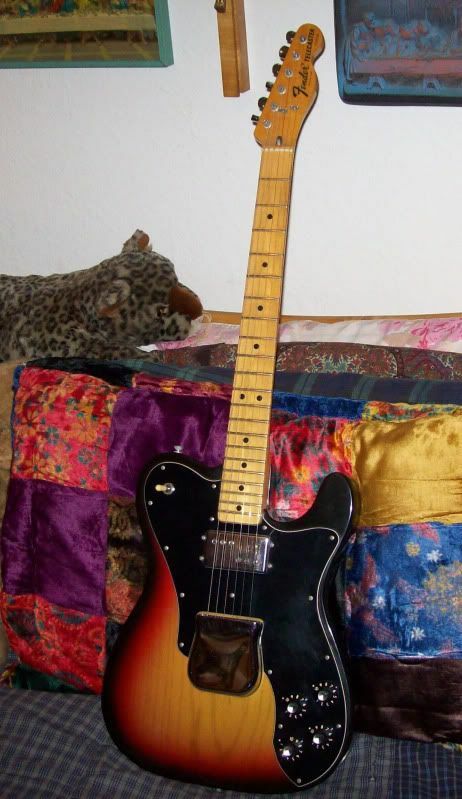 Yeah it's mainly 70s era stuff around �2.5k there's a nice tele I found on reverb from 72 that I'm going to check out. I'm in no rush to grab anything so I can at least take my time. I'm not discounting the custom shop guitars either, will try a few of those out this weekend too. You could maybe find a 70s Telecaster Custom for that price. I suspect you'll probably get something far nicer and newer. Second hand custom shop or something. Yeah that's a likely point, there's lots of secondhand custom shop tele's in the price range. I've gotta agree with what's been said. For that budget, I'd look for an American Vintage series of some sort. I personally am not a fan of 70s Fender guitars...they feel cheaply made to me, and don't have any more of that "vintage vibe" than Japanese knockoff guitars of the era. Also, 335 reissues, while being very nice guitars, are far overpriced for what you get. They don't sound or play any better than my (Korean-made) Sheraton II. You're paying for the name and the prestige. If it were me I'd search for a "Thin Skin" series AV model. They sound fantastic, will age nicely, and being limited runs, are almost guaranteed to go up in value. However, you might not be a fan of 9.5" radius and big(ish) frets. Actually, I just had another thought. Look into the Ovation Tornado / Thunderhead. For $2500 you can easily buy a very nice vintage Guild holllowbody. You can also pickup used Coliings electrics for around that price if it doesn't have to be vintage. These are probably the best values you can get along with used/vintage made in USA Guild acoustic guitars. The thing about Gibson and Fender is that even though there stuff is sometimes overpriced it doesn't tend to lose much value. You can buy select Hamer models that are way better or at least equal to the equivalent models Gibson was making at the time but the resale value and investment prospects is going to be limited. Also I am speaking for the United States. I don't know how easy it is to find old Guilds or "boutique" brands like Collings over there. Listened to your guys advice and after some shopping around have gotten a ridiculous deal on a Gibson 335 reissue. Will be getting delivered this week. I got a great price on it, so it's win win either way. If I like it, awesome that I got such a deal. If I don't like it, I can make some money on it. It makes me think of this one. Congrats Gabriel, that looks lovely.